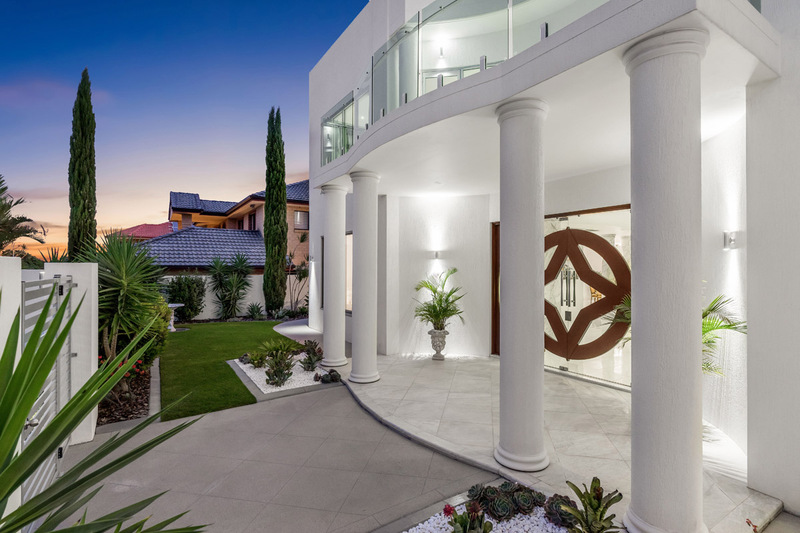 A residence of unrivalled distinction, reminiscent of a luxury European estate, beckons in one of Brisbane’s most exclusive residential enclaves. 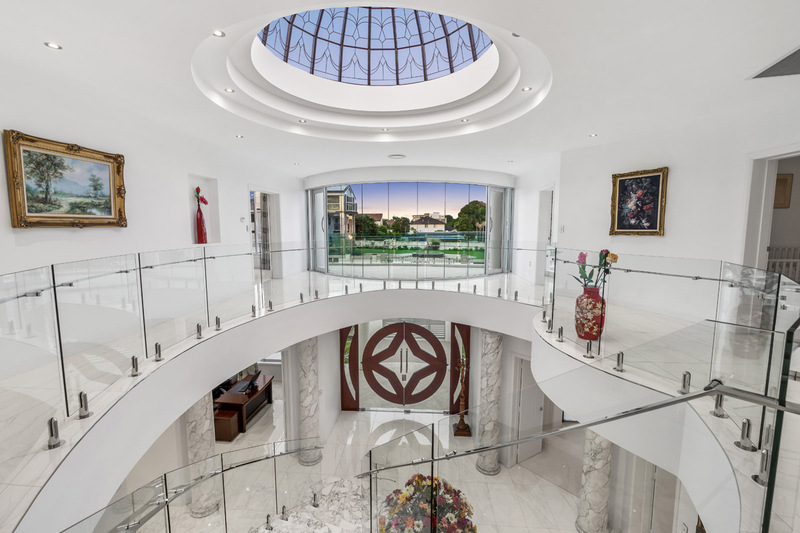 Grand in both size and appearance, and featuring a sprawling 1208sqm floor plan, this tri-level, architectural masterpiece boasts an array of flawless finishes throughout, including imported crystal, Italian marble and Russian granite. 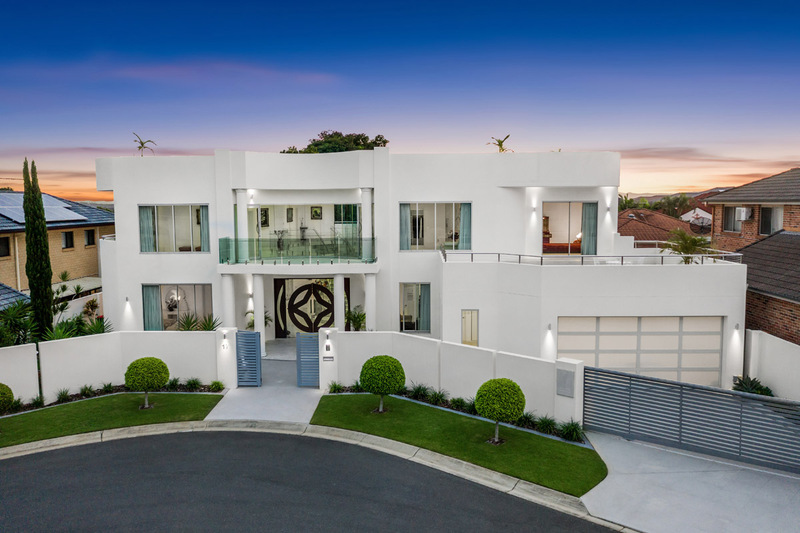 Master built with solid concrete and designed to the highest standard, this sophisticated property will entice you with its enviable entertaining and living options – especially the ultimate, 336sqm rooftop terrace – and make you the envy of everyone. 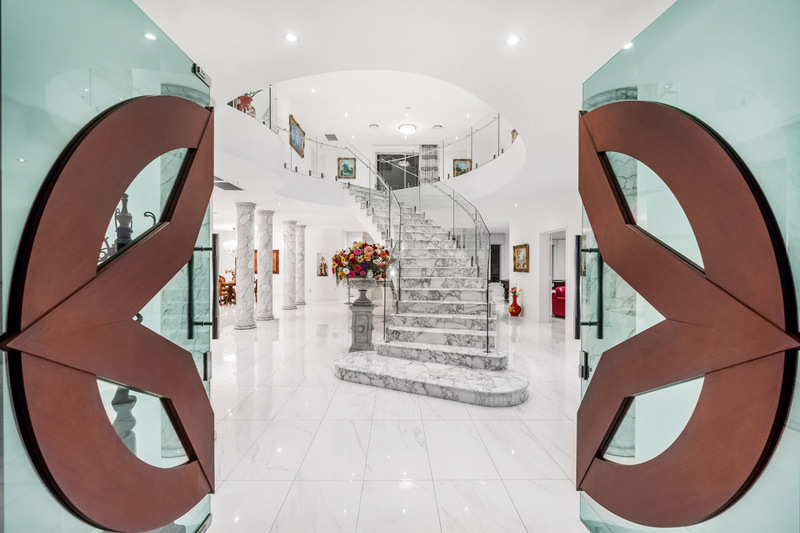 The tone for exquisite living is set from the moment you step inside. 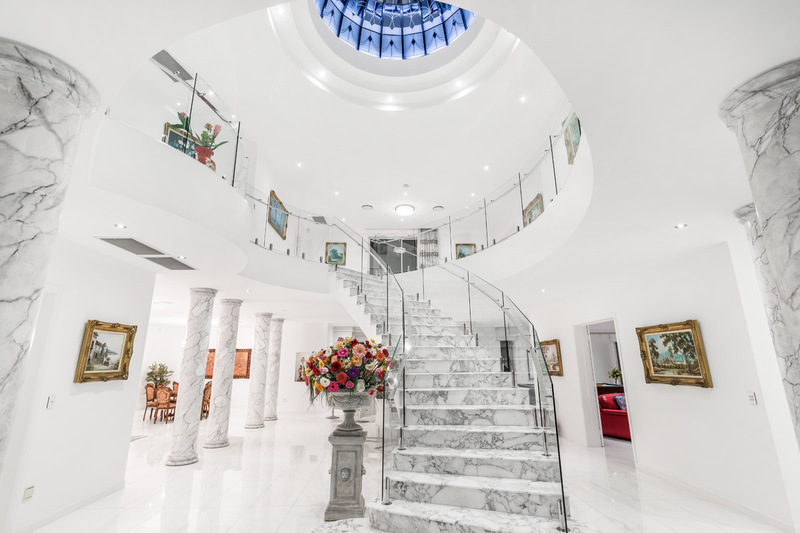 Showcased by a soaring 20ft ceiling and adorned with a bespoke, LED glass dome skylight and imported Italian crystal chandelier, the formal foyer also features a sweeping marble staircase which hints at the extravagance which lays in wait. 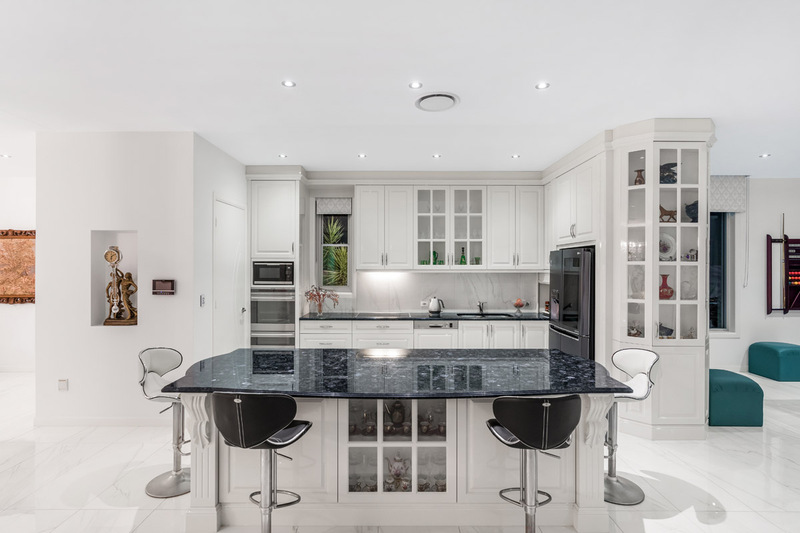 Beyond, the expansive, open plan lower level hosts a formal lounge and dining area with an adjoining gourmet kitchen. 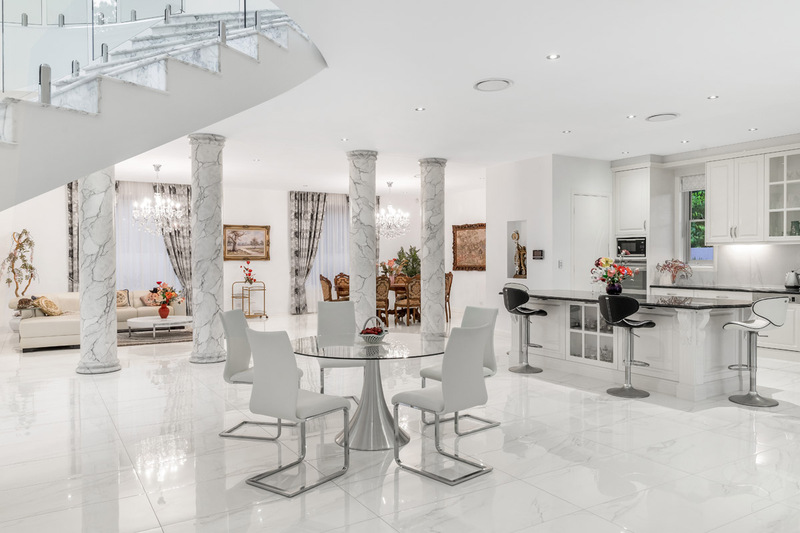 Accented by Russian granite benchtops, high-quality European appliances, integrated dishwasher and walk-in pantry, it represents every MasterChef’s dream. 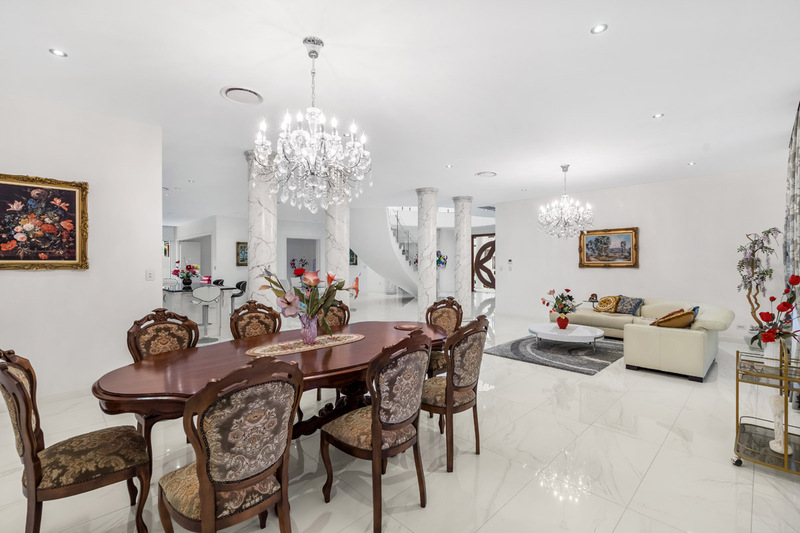 Expect to be spoilt for choice when it comes to hosting family and friends, with multiple options to entice you. A firm favourite will be the showpiece, 336sqm rooftop terrace. 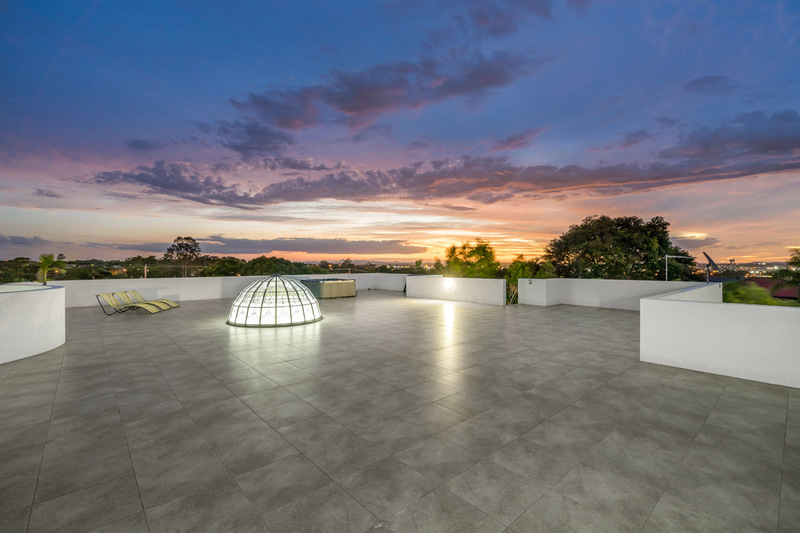 Set against the backdrop of spectacular, 360-degree panoramas, indulge in a rooftop spa, or plan grand gatherings, as the sun sets over this magnificent abode. 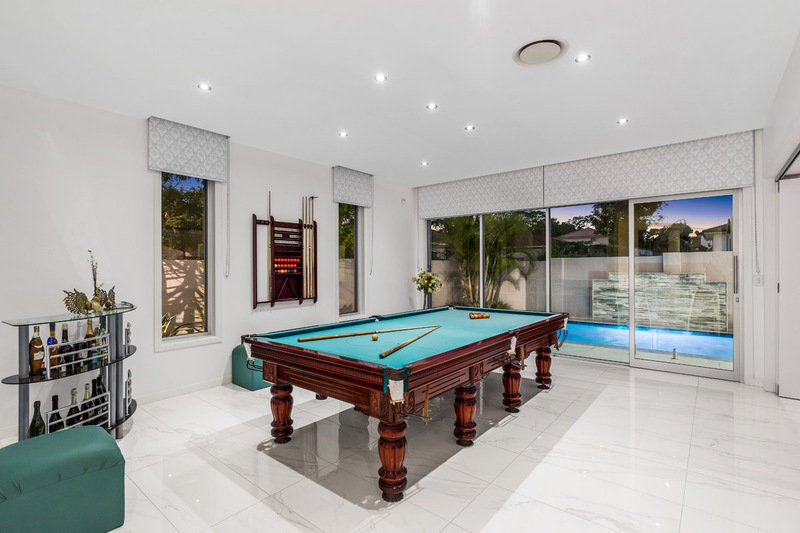 You’ll also be tempted by the games room, media room or the outdoors to enjoy the saltwater pool, complemented by an inviting alfresco area and lush, low maintenance gardens. 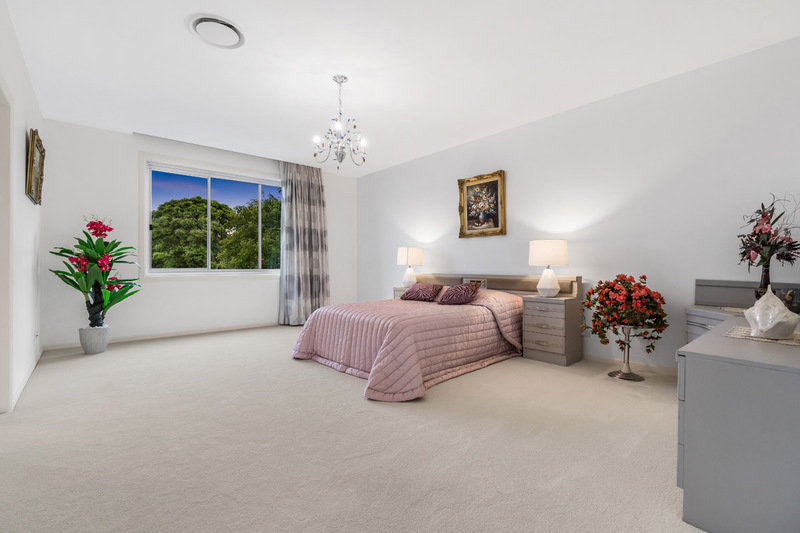 Six sumptuous bedrooms are also on offer, including five with ensuites and all with imported quality carpets and walk-in robes. 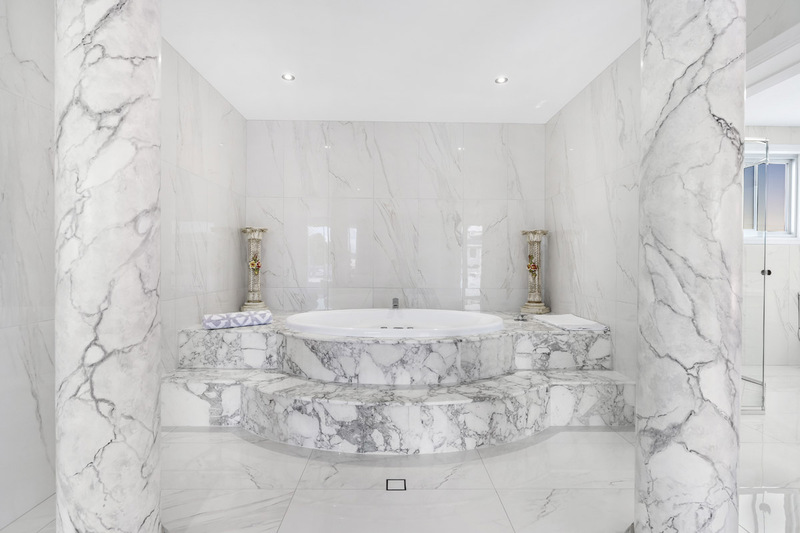 The lavish, sun-infused master suite boasts a private balcony, walk-in robe, sitting area, as well as an open plan spa bath nestled behind stately marble columns. 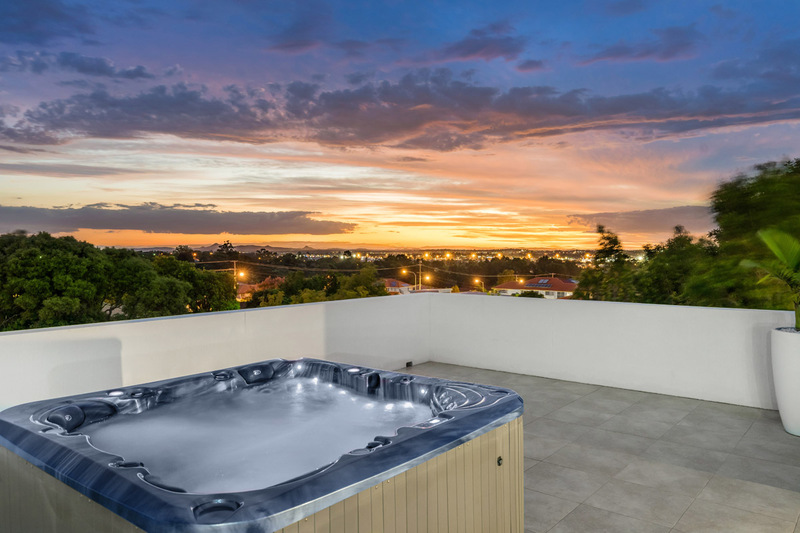 Other superior inclusions of this state-of-the-art property are the study or 7th bedroom, an outdoor bathroom, deluxe steam room, spacious laundry, 5,000L underground water tank, commercial grade and UV protected glass windows and doors, ducted air conditioning, ducted vacuum, security alarm, video intercom plus a triple garage and electric gates. 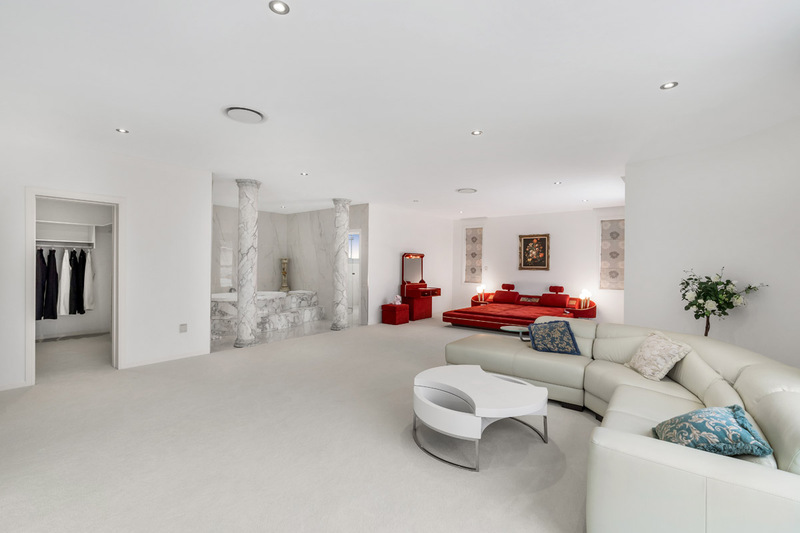 It’s also been constructed with two levels of suspended slab concrete floors and laser-level 2.7m and 3m ceilings, deep and wide footing with steel reinforcement, core-filled concrete internal and external walls with steel and concrete columns. 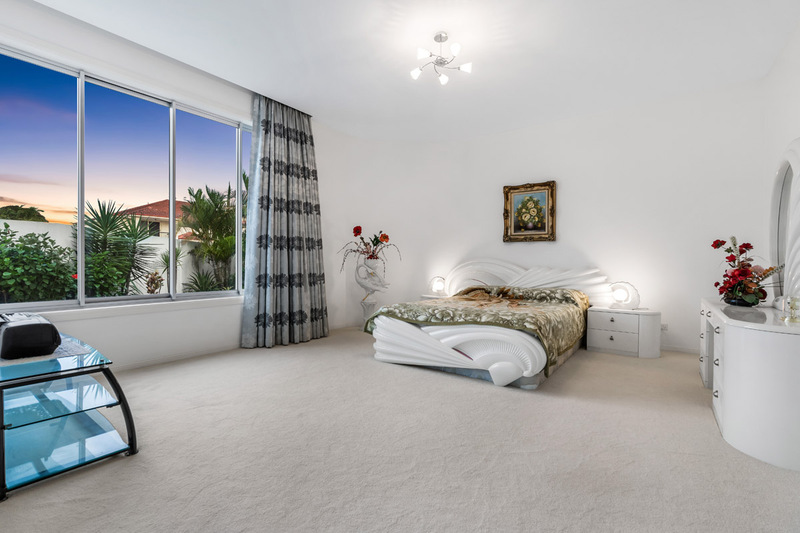 Perfectly positioned in a tranquil cul-de-sac, and on a 752sqm block in one of the most prestigious pockets of Robertson, you’re a short stroll from Robertson State School, public transport plus the Sunnybank Central Shopping and Commercial precinct. 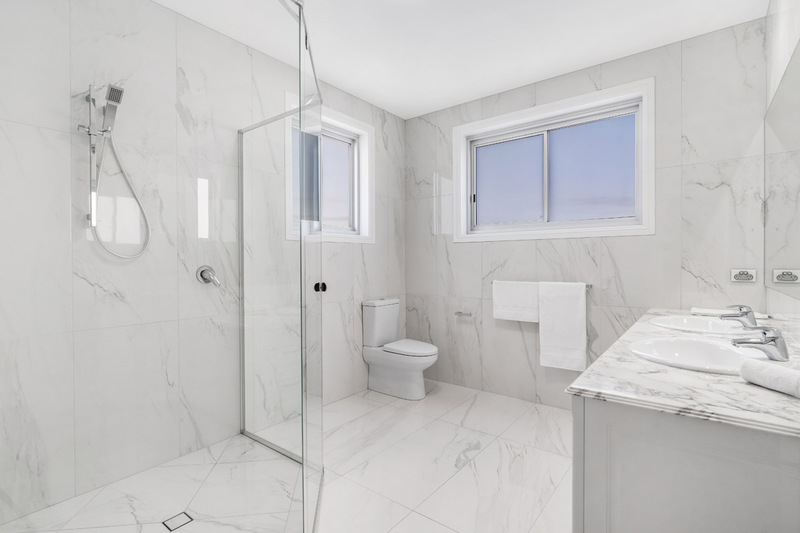 A short drive will see you arrive at Robertson Village Shopping Centre, QEII hospital, Griffith University, Westfield Garden City, and the Pacific Motorway. 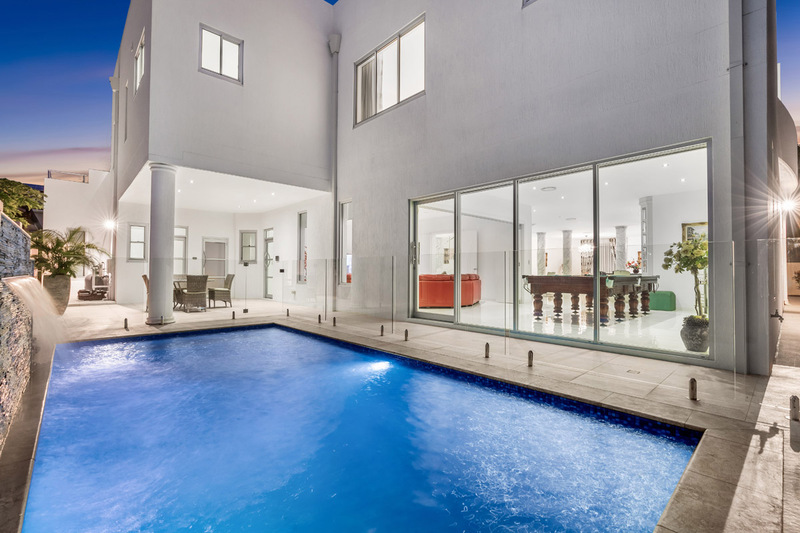 It’s time to indulge in the luxurious lifestyle you deserve. Act now and arrange your inspection today.